Articles for "The American Thinker"
As a Catholic myself, I have been greatly irritated by polls that suggest that despite Obama's horrific HHS mandate attack on religious freedom, Catholics still lean towards the incumbent President. There are some caveats here (some polls suggest that actually practising Catholics lean Romney, while those who are non-practising lean left) but Obama does seem to be clinging on -- just -- to what is known as the Catholic vote that he won in 2008. Yet things might be changing. The attack on religious freedom back in March may be out of the minds of a lot of Catholic voters, but two things are about to happen that may lead to a shift in the Catholic vote, and move the vote that has been decisive in all Presidential Elections in recent history into Romneyville. The first is that the Democrats are using their convention not to focus on jobs and the economy, but on abortion and gay marriage - two things that faithful Catholics oppose vehemently. It is necessary to know that faithful Catholics who vote Democrat tend to justify their choice by saying that the above policies are just part of a much wider Democrat program. By putting these two issues at the forefront of the convention, the Democrats are contradicting this and saying "Nope, this isn't just a part of our program, this is who we are." This is going to make a lot of Catholics very uncomfortable and could send them running Romney's way. The second is that Timothy Cardinal Dolan -- Archbishop of New York -- is going to lead the closing prayer at the Republican Convention. Dolan is one of the most popular clerics in the Catholic Church, loved by liberals and conservatives alike, as well as many people in wider society. Dolan would be the first to say that leading the prayer is by no means an endorsement of the Republican platform -- although many whining left-wingers are claiming this is the case. 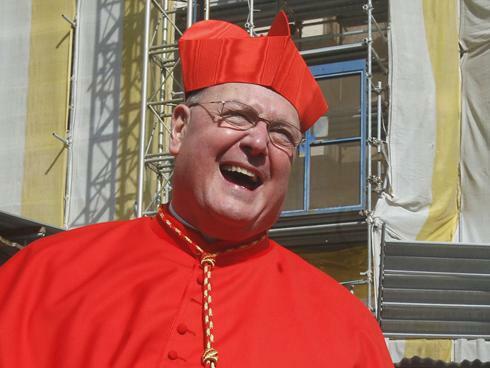 That leads to a question that will be in the minds of many a Democrat Catholic in the next few weeks, "If the Cardinal isn't welcome in the Democrat Party - am I?" The Cardinal's presence at the GOP Convention, and the Democrat's focus on abortion and gay marriage, suggests the answer to that is an emphatic NO. Expect this to start showing in polls in September. I'm reading: Democrats Could Have Just Lost the Catholic VoteTweet this!